This guide includes two seperate integrations: integrating with MoonClerk for one-off payments, and integrating with MoonClerk for recurring commissions. Depending on your use case, you should only follow one of the guides below. Note: if you use Moonclerk in combination with Squarespace, please check also the Squarespace integration guide. Follow this guide only if you are integrating with MoonClerk to track one-time purcases. Create a thank you/success page in the platform that hosts your website (eg. Squarespace). In the MoonClerk payment form, scroll down to Confirmation and select Redirect to another webpage. 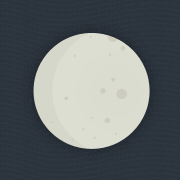 Follow this guide only if you are integrating with MoonClerk to track recurring commissions. You can use the API or Zapier to set up recurring commissions. In case you have not heard of Zapier: Zapier is the swiss army knife of the web. Is a setup too technical for you? Or is a repetitive tasks costing you too much time to do manually? Zapier allows you to easily integrate Tapfiliate with more than 500 web-apps.